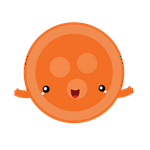 When you need to make the same change to a large number of shifts, it’s more efficient to make those changes in bulk rather than edit each shift individually. This article explains how to make bulk updates. 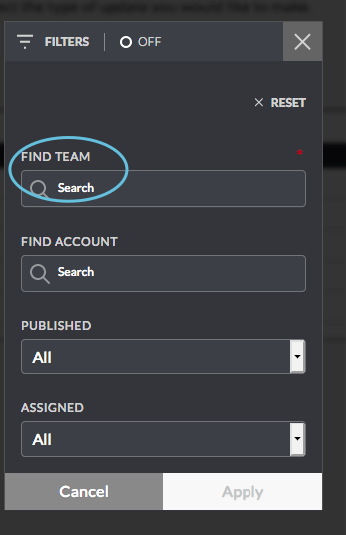 If you need to edit a single shift, see Edit Shifts. 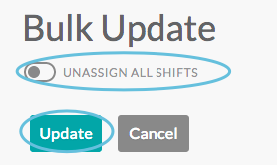 The Bulk Update tools allow you to assign, edit, or delete multiple shifts. 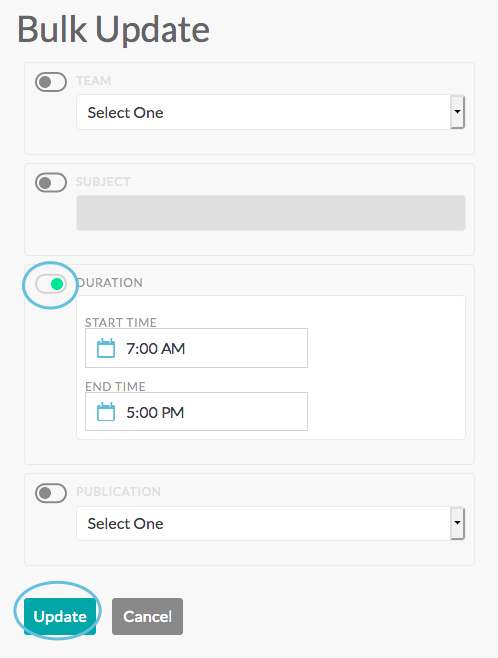 Important: For all bulk actions, you must first pick a date range and set filters. Note: The field defaults to showing a two-day window of today and tomorrow. 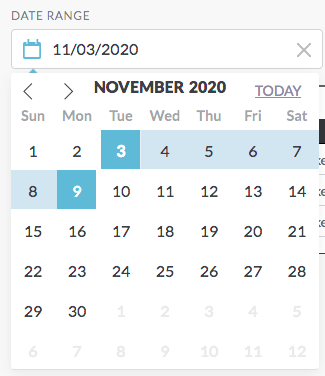 The date range field displays the dates you chose. 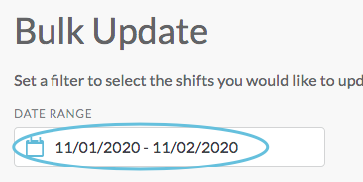 Remember: Changes will apply to all shifts in the list. 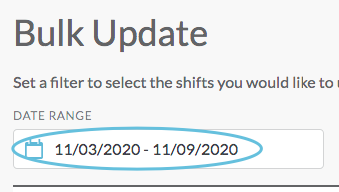 After you select a date range and set filters (see above), the Bulk Update tool allows you to assign or reassign multiple shifts simultaneously. 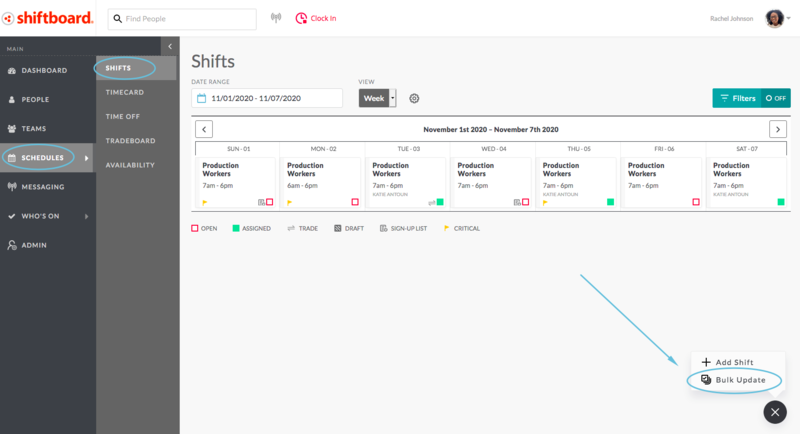 Bulk assigning shifts saves time in cases where you need to assign one person’s shifts to someone else, for example if the first person is out sick or leaves the organization. 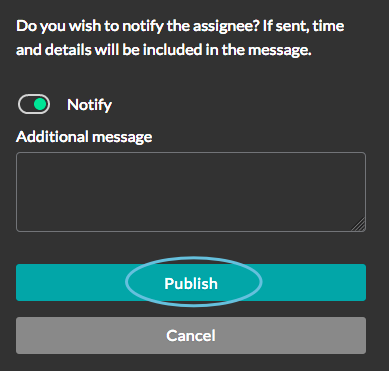 Note: Bulk assignments can only be made when all shifts are for the same team. 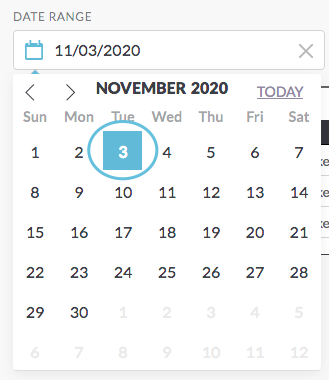 After making bulk changes, you may need to refresh the page for the changes to reflect in the calendar. 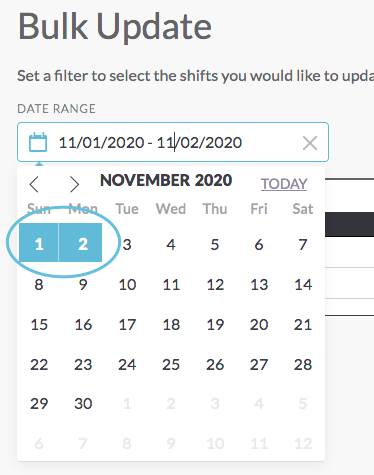 After you select a date range and set filters (see above), the Bulk Update tool allows you to edit multiple shifts simultaneously. 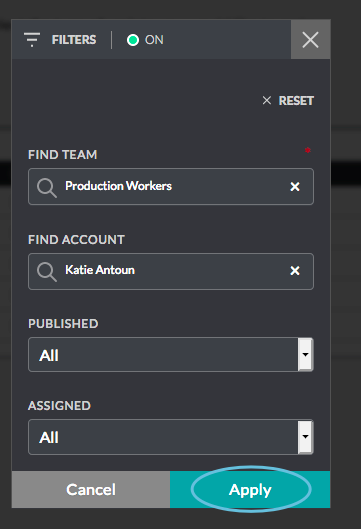 From the edit page, you can update the team, subject, duration, or publication status (publish or save as draft). 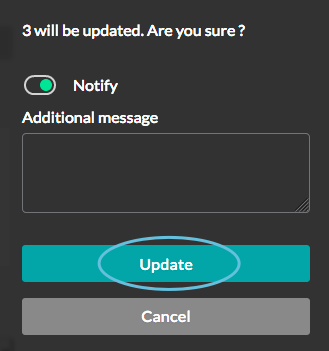 First, for each field that you want to update, click the toggle button to green to enable the field, then make changes, and click Update. Note: You can make changes to more than one field. 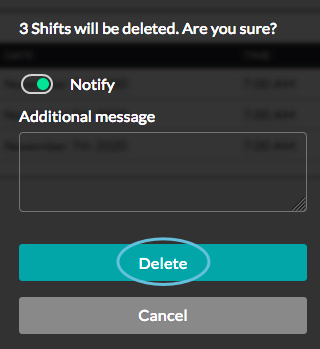 After you select a date range and set filters (see above), the Bulk Update tool allows you to delete multiple shifts simultaneously. Most commonly, this tool is used to delete unwanted draft shifts.